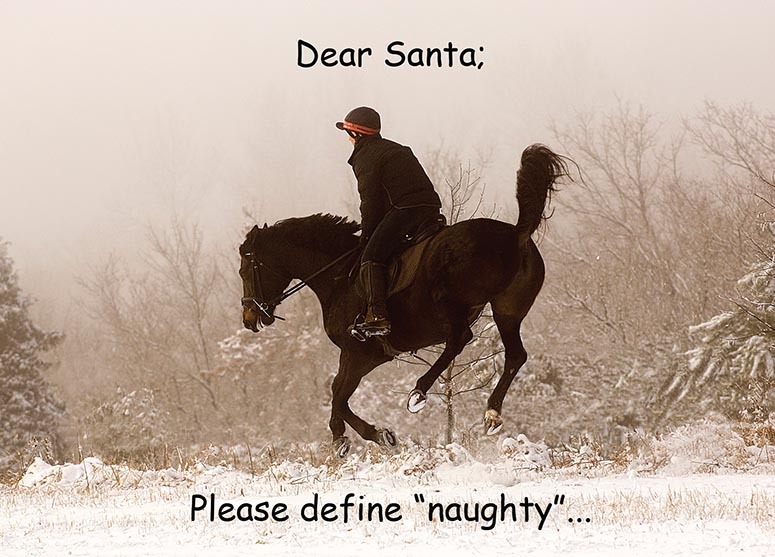 Front: Dear Santa, Please Define "Naughty"
Christina Handley is an equestrian photographer based in Canada. Christina and her husband live on a working farm in southern Ontario with their 3 Belgian horses and herd of beef cattle. The “naughty” horse in the picture is Arwen, owned and ridden by Edie Tarves of Canada. Arwen is a Swedish Warmblood/Thoroughbred cross mare. Arwen has only bucked twice in her life and this picture was one of them; it was completely out of character for her. She was feeling good and showing off for the camera that day. Edie and Arwen presently compete in Eventing at the Intermediate level.